Washington State legislators are proposing a new $1.55-million program to feed the whales. Yet the SRKWs, a subpopulation of killer whales that specialize in eating fish, strongly favor chinook salmon over coho and steelhead. They will eat coho, though they much prefer the big, fatty chinooks. So, Washington’s legislature is considering a bill that would spend US $1.55-million in state funds to raise an extra 10 million chinook salmon annually at six state hatcheries, including Skookumchuck, in the hopes that it will help save the whales. As of last December, the three family groups of SRKWs—known as J, K, and L pods—had a combined total of 76 whales, down from their most recent peak of 98 in 1995. Scientists blame a range of factors for their decline, from malnutrition to environmental degradation to exposure to toxins. Representative Brian Blake, the Democratic lawmaker who put forward the bill, hopes that if the hatcheries release 10 million chinook smolts, maybe 100,000 to 200,000 will survive, returning to the coast as adults in time to be eaten by the remaining SRKWs. So far, Blake’s bill has strong bipartisan support. “I kept hearing stories about J pod and the lack of salmon, and that salmon is one of the factors in turning that around,” says Blake, who represents the Grays Harbor area, which is a regular fish-hunting area for the killer whales. “Scientists say if something is not done immediately, these whales are gone,” says Democratic State Senator Kevin Ranker, who has put forward other killer whale-related bills that are also under consideration. Donna Sandstrom, executive director of the nonprofit organization the Whale Trail, says the whales’ situation seems dire. “We’re perhaps witnessing their last chapter on Earth,” she says. 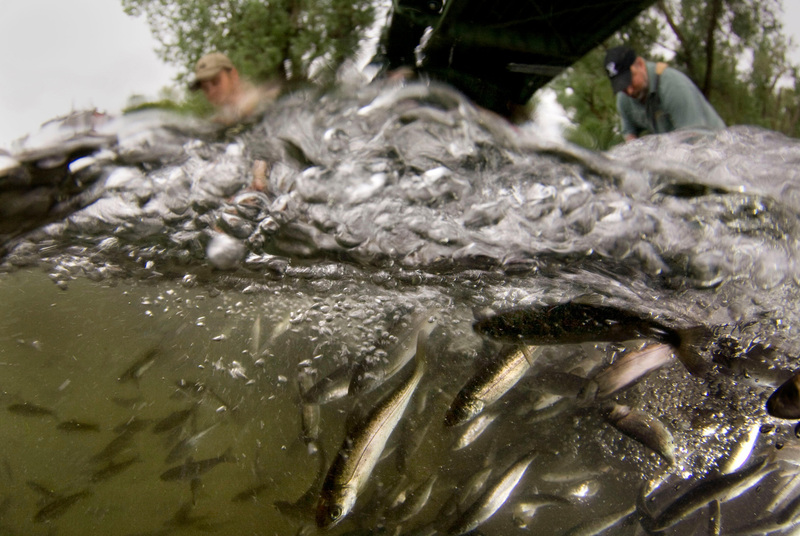 Robert Allan, who heads the southwestern Washington branch of the Washington Department of Fish and Wildlife, says if the bill is approved, it should be possible for state hatcheries to accommodate the extra 10 million chinook smolts, though additional facilities might need to be built. But a much bigger question, Allan says, is whether the extra salmon would actually help the migratory SRKWs. Salmon follow a complex life cycle in which they spend several years at sea developing into adults before returning to their natal streams to breed. For the adult salmon to actually end up in the killer whales’ paths, the fish would need to return to the coast in the right place at the right time. “The number of salmon does not necessarily translate to availability to orcas,” Sandstrom says. To get around this, Allan says, it’s possible that smolts raised in hatcheries such as Skookumchuck would have to be trucked elsewhere to be released to ensure that their return to shore as adults actually lines up with the killer whales’ movements. Yet even if the extra salmon do wind up in the killer whales’ bellies, will an extra 100,000 to 200,000 fish be enough to boost the growth of J, K, and L pods? “There is no silver bullet,” says Lynne Barre, a fisheries biologist with the US National Oceanic and Atmospheric Administration’s Seattle branch. Barre says to save the whales, their population declines need to stop. After that, the goal would be two percent growth in the three pods’ numbers over the next 14 to 28 years. That translates to roughly two killer whales born each year in excess of the number of deaths. The hatchery plan alone is unlikely to drive this change, she says. Barre, Sandstrom, and Ranker acknowledge that the whales are facing a range of threats. However, they supported Blake’s bill as a good immediate step to recovery—with the caveat that the ultimate solution to the SRKW’s situation will need to be multifaceted. To that end, Ranker has another bill in the state legislature—also with bipartisan support—to tackle noise and disturbances, especially by boats and drones. Another proposed bill would increase a tax on crude oil as a way of dissuading the transport of oil through coastal waters. That bill also requires increasing the planning and preparation for oil spills in the region and improving coordination of those efforts with British Columbia. In the meantime, Blake hopes the legislature will pass his bill by March 8, when the legislative session ends. One of the first steps outlined in the bill is to set up a task force to study future killer whale recovery measures. That task force would consist of four legislators and two tribal representatives, as well as people from Washington’s ecology and fish and wildlife departments, a killer whale conservation group, a salmon conservation group, and a tourism organization. It would hold its first meeting in June to iron out the details of how the bill would be implemented, with recommendations due by November of next year. 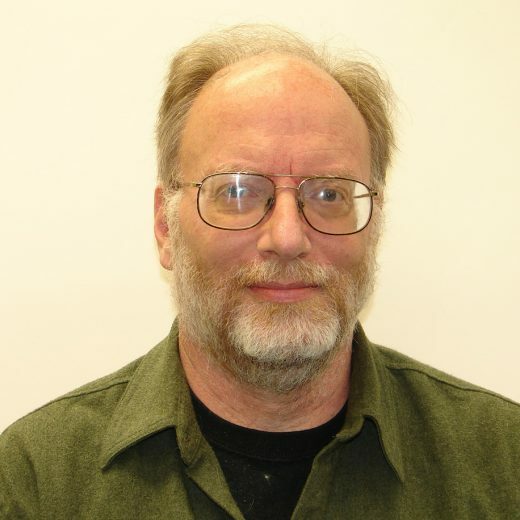 John Stang is a longtime reporter in the Pacific Northwest with expertise in the Hanford Nuclear Reservation, state government, the environment, science, and crime. In the past, he interviewed atomic bomb survivors in Nagasaki, Japan, accidentally captured a fugitive murderer in a dark alley, climbed Mount Hood in Oregon twice for stories, and was embedded with a women’s roller derby team. John also played a Sasquatch in a horror movie. Cite this Article: John Stang “Supplemental Nutrition Assistance Program for Whales,” Hakai Magazine, Mar 2, 2018, accessed April 21st, 2019, https://www.hakaimagazine.com/news/supplemental-nutrition-assistance-program-for-whales/. What Happens When an Endangered Whale Pod Loses its Wise Old Grandma? With the death of Granny, the matriarch of the northeast Pacific’s southern resident killer whales, a century’s worth of knowledge and leadership is lost as well.